This week’s Weblog post stands as testimony to the photographic skill, ability, and shooting eye of an acclaimed amateur photographer of the old west, Dr. Edward H. Latham (1870 - 1928). 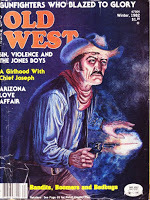 I ran across Latham’s work in the Winter 1982 edition of Old West magazine (see magazine cover, lower left) in an article entitled ‘A Girlhood Spent With Chief Joseph’ (p.18), authored by Marie Maziarz Dickson (11/27/1928 - 08/05/2014). 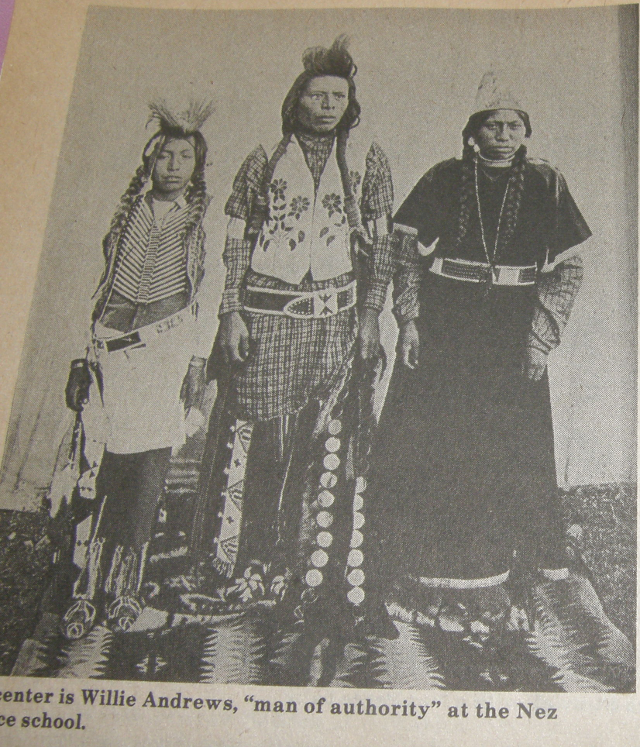 Latham’s uniquely skillful photographs, by the way of Dickson’s article, presents an interesting view of Indian life on the Colville Reservation, to which the Nez Perce Indian tribe was assigned sometime after their defeat on the battlefield of Montana’s Bear Paws on 05 Oct 1877. Chief Joseph, whose name was Hin-mat-too-yelet-ket before converting to the Presbyterian religion, had led his people more than 1300 difficult miles, ending up at the Colville Reservation where Dr. Latham was later assigned as doctor by the US Government. Dickson’s story was actually about Ada Stillwell Dickson, the author’s Aunt, who was seven years old when she and her sister, Emma, age five, traveled to the reservation with her father, Barnett Stillwell, to live. 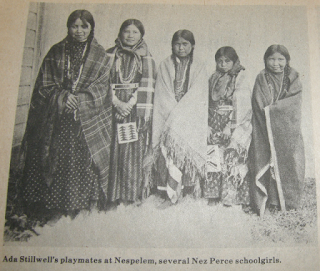 Stillwell had accepted the position of superintendent at the Colville Reservation school that served the educational needs of both Indian and white children who lived there. 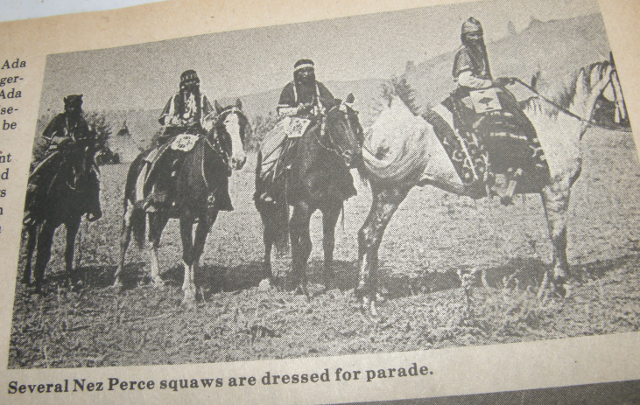 Several Nez Perce squaws dressed for parade. We learn additional facts about Dr. Latham through HistoryLink.Org. First, Edward Latham and Mary Archard were married on July 28, 1864. They added to the size of their little family with the addition of three boys. 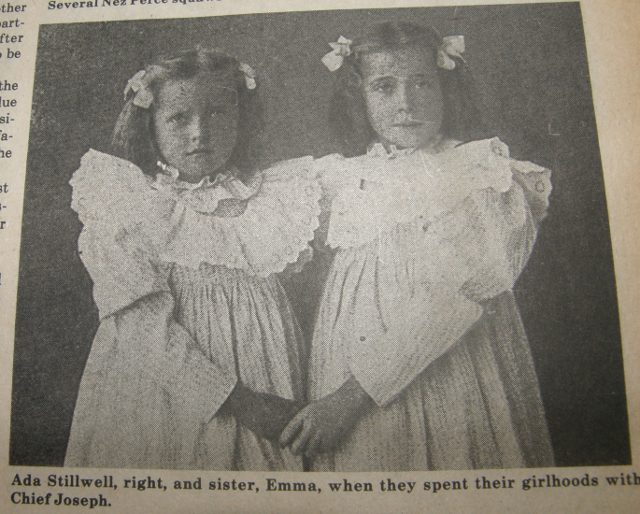 Ada Stillwell (right) and Emma, her sister (left). Secondly, “[Mary Latham] enrolled in the Cincinnati College of Medicine and Surgery and graduated in 1886 as part of the first class of women admitted to the clinical wards of Cincinnati General Hospital (Edwards, 394). Edward also decided to enter the field of medicine. He attended the Cincinnati College of Pharmacy and, in 1884, he graduated from the Miami (Ohio) Medical College. Mary and Edward practices together briefly in Cincinnati” (HistoryLink.Org). 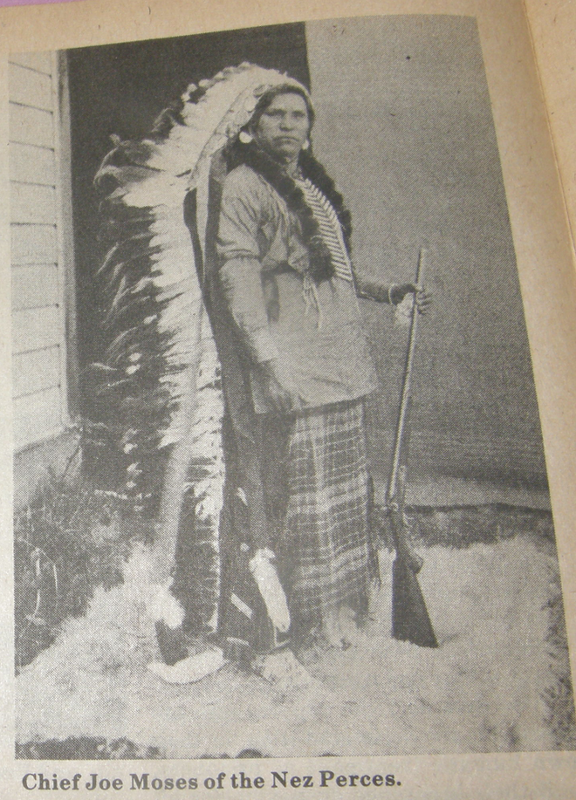 His appointment to the Colville Reservation, according to History Link, took place in 1890 (http://bit.ly/2H7anjD). 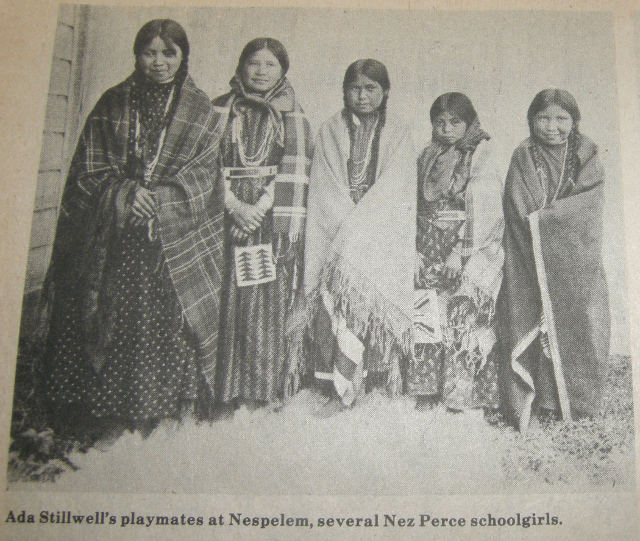 Ada Stillwell's playmates at Nespelem on Colville Reservation. 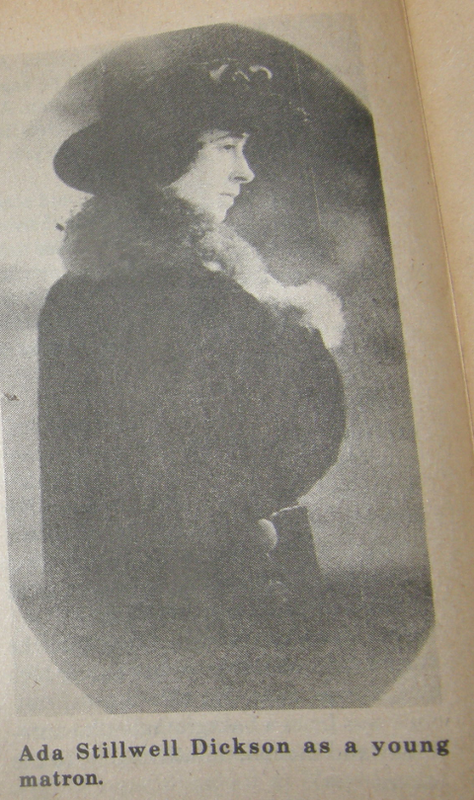 Ada Stillwell Dickson later in life. And thirdly, Mrs. Latham decided to remain behind when her husband, Edward, accepted the Colville Reservation assignment. 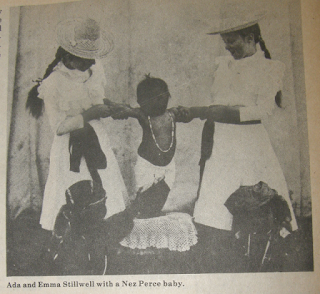 Both had entered the field of medicine, so Mary Latham had a career of her own as confirmed by Ada stillwell Dickson at the age of 90 in Dickson’s Old West article. Ada and Emma Stillwell with a Nez Perce baby. The photos contained throughout this Weblog entry and below are that of Dr. Edward H. Latham, as published in the Winter 1982 edition of Old West magazine. You can review additional photos taken by Dr. Latham by visiting the following Archives West collection: http://bit.ly/2IXLs3D. 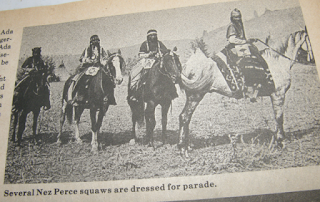 His work stands as a great source of information as it relates to the history of the Nez Perce tribe, this nation, and the Old West. 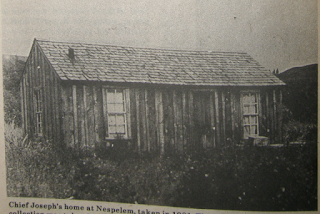 Chief Joseph's home in Nespelem (1901). Willie Andrews (center) "man of authority" at the school. 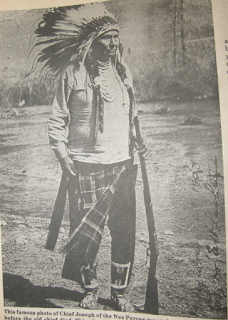 Chief Joe Moses of the Nez Perces. We look forward to seeing you next weekend.